Part of the excitement of touching something you can't see is that you never exactly know what it is you're putting your hands on! That's what makes Haunted House: A Touch and Feel Spooky Tour so much fun. 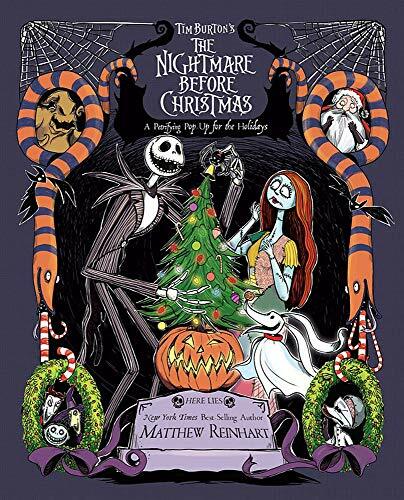 Inside these rugged board pages, a friendly skeleton guides young readers through a haunted house. Along the way children are invited to put their hands inside of built-in pockets to touch a hairy spider leg…a vampire's fangs…an eyeball…and even gross, slimy brains! 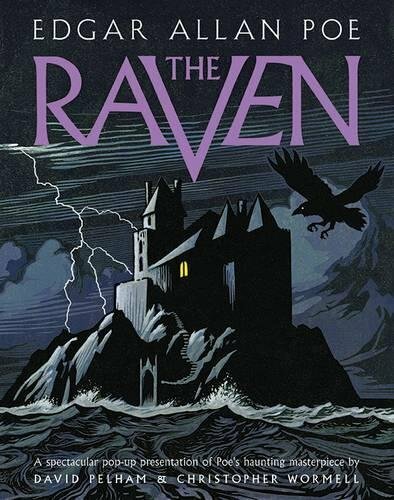 A glow in the dark cover and an especially spooky pop-up at the end of the book add to the fun. Young readers won't be able to resist challenging themselves, their friends, and their family to reach inside the pockets…if they dare! 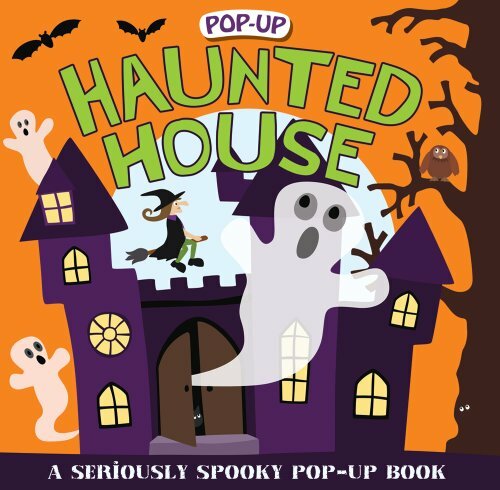 There are spooky pop-up surprises to discover inside this fun book as the Haunted House comes alive this Halloween! 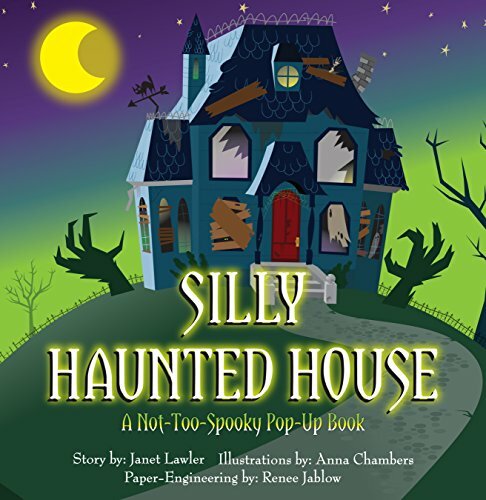 Kids will love reading the comically creepy rhymes about the ghosts, witches, ghouls and other creatures who live in the Haunted House, and as they turn each page, a spooky Halloween surprise pops out to give them a fright! Pop-Up Peekaboo! Pumpkin: Pop-Up Surprise Under Every Flap! A Halloween pop-up book with flaps and friendly pop-up surprises to engage toddlers and help them join in the holiday fun through hands-on learning.Little ones can help find Little Black Cat and her friends hiding under the flaps with Pop-up Peekaboo Pumpkin, a playful Halloween pop-up book that has fun rhymes, five large flaps, and five friendly pop-up surprises that toddlers will love to discover again and again.While the flaps promote hands-on learning, the simple rhyming text encourages little ones to use their imagination and guess which friendly Halloween character is hiding next. As they lift the flaps to find out, they will surely be delighted and say, "Peeka… BOO!" 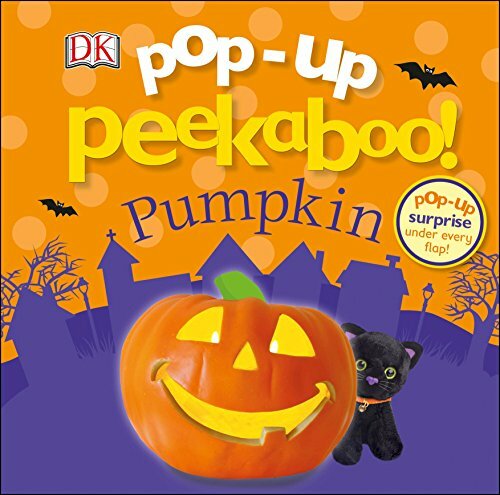 Pop-up Peekaboo Pumpkin is the perfect Halloween book for your baby or toddler. Series Overview: With a pop-up surprise under every flap, the books in DK's Pop-up Peekaboo series help develop memory and imagination, and encourage hands-on play. Children and parents will enjoy the rhyming text and hide-and-seek surprises over and over again and meet lots of new characters along the way. 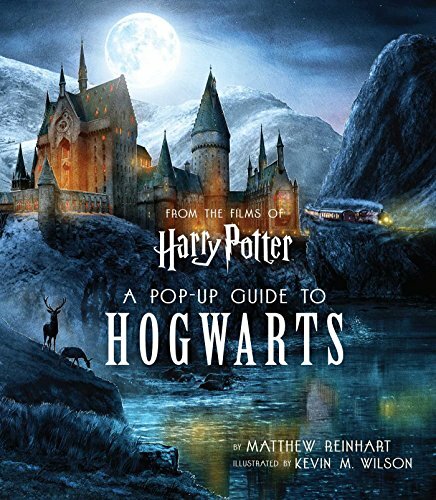 A 3-D masterpiece celebrating Harry Potter’s Hogwarts School of Witchcraft and Wizardry from New York Times best-selling pop-up engineer Matthew Reinhart.Harry Potter: A Pop-Up Guide to Hogwarts is an exhilarating, interactive guide to the iconic school of witchcraft and wizardry. This book features spectacular pop-up re-creations of key locations inside and outside Hogwarts castle, and it opens flat to form a pop-up map of the castle and its grounds—including the Quidditch pitch, the Forbidden Forest, and beyond. In addition to large pops on each spread, numerous mini-pops will bring to life beloved elements from the Harry Potter films, such as the Marauder's Map and the Flying Ford Anglia. Each pop will include insightful text about Hogwarts as seen in the films, making for a must-have collectible for fans of the wizarding world. NOTE: Before unfolding the Hogwarts map, unhook the two manila tabs on each spread by gently pushing them out from underneath. There are eight tabs in total to release. Maurice Sendak's first pop-up book!They're all here! Everybody's favorite monsters are just going about their business when a plucky little boy wanders into their cuckoo house. And what does he want? 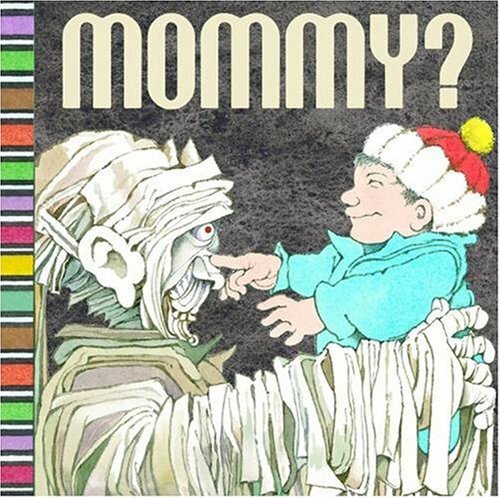 He wants Mommy!No matter how scary these monsters are, there's no besting a little boy who's looking for his mommy. In one hilarious pop-up extravaganza after another, this kid shows them a thing or two. 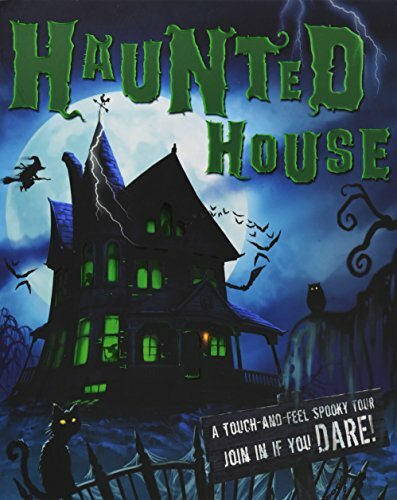 It’s Halloween, and you are the special guest at a haunted house celebration party―provided you pass the test that the silly ghosts, skeletons, witches and spiders have in store! This Not-Too-Spooky Pop-Up Book springs to life in six whimsical spreads with movable scenes, interactive elements, and a new surprise on every page.